GERMAN media tried to hide the fact that it was Muslims, NOT Germans, who pushed three German teens into the path of an oncoming train. Three German 16-year-olds were pushed onto the tracks of a station in Nuremberg, directly in front of an approaching train. Two of them were run over by the train and killed instantly. The alleged perpetrators of this heinous act were two older teenagers with a migrant background: One is of Turkish Muslim origin and the other is an Albanian Muslim of Greek origin. FreeWestMedia Despite the fact that the killers’ actions were deliberate and intentional, the mainstream media obfuscated what happened, saying that “the boys fell onto the tracks after a scuffle”. The event was described as a “tragedy”, rather than an atrocity. And the murderers were referred to simply as “Germans”, because they were born in Germany. The cultural identity of the offenders was hidden by the Relotious-infested mainstream media by deceitfully speaking of “Germans”, in order to cloak the migration background of the murderers. Terms such as “accident” and “tragedy” were used, adding that the three 16-year-old’s “fell” onto the rails. 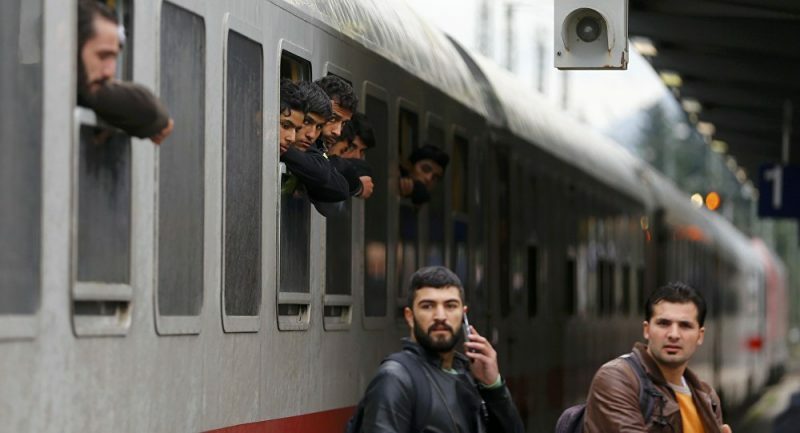 But German tabloid Bild on Monday morning uncovered the unpleasant truth: The murderers, or at least the manslaughterers, who pushed the three German boys onto the rails, are foreigners born in Germany. One happens to be of Turkish origin and the other an Albanian of Greek origin. Some 500 years of Ottoman Islamic colonial rule has obviously left devastating tracks in Greece. 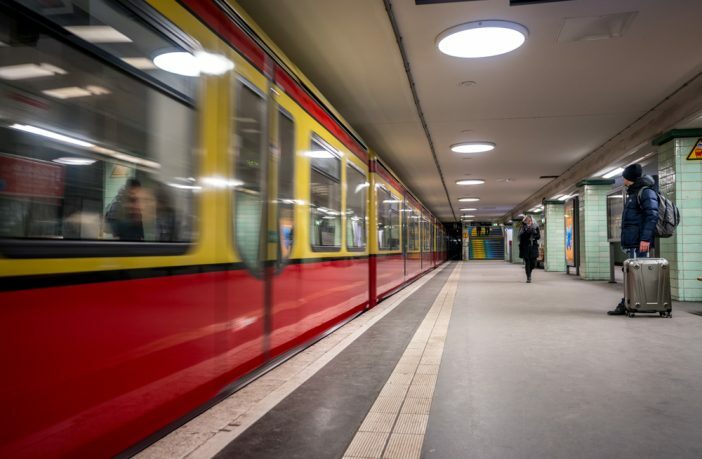 On December 20, 2007, it was also a Turk (Serkan A) and a Greek (Spyridon L) who almost beat to death Bruno N, retired Director of the Hermann-Frieb School in Schwabing, at the Munich Arabellapark train station, simply because he indicated there was a no-smoking policy on the train. While beating him they called him “filthy German”. After their trial they defiantly showed everyone the middle finger. The ethnicity of the suspects is based on a statement by the police spokesperson, and only Bild in this case reported the facts. The other media played down the migrant background of the teens and these brutal murders in a most scandalous manner. The Süddeutsche Zeitung openly hallucinated that a fight between the youths had reached a “tragic end”. Three 16-year-olds were “falling” on the rails and were “caught by the train and run over and killed”. 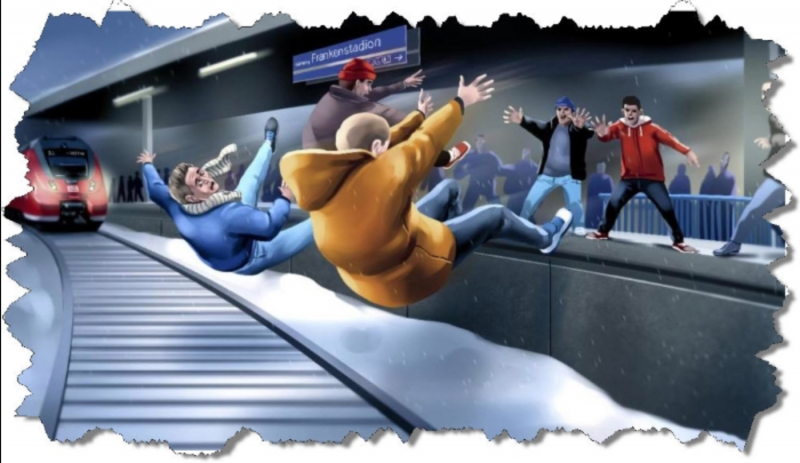 The two 17-year-olds supposedly should be held “responsible” that “their three rivals fell from the platform onto the rails”. The Alp-Pravda never bothered to mention that the district attorney had issued a warrant for arrest for manslaughter, and that pure “malice” is being assumed. Furthermore, they cite investigators who do not mention that the suspects had pushed, beaten and kicked the three boys. On late Saturday morning, BR Online described the double murder in its video report as an “accident”, in which “three men” after the fight “fell onto the train tracks”. The CSU mayor of Heroldsberg, Johannes Schalwig, spoke in all earnest of an “accident”, not murder. The entire town with its 8 500 citizens has been in a state of shock since Friday night, especially the sports club TUSPO Heroldsberg, where the two victims played soccer ever since they were little boys. Previous Post PARIS: Looks like the Muslims have joined the Yellow Vest protesters for Week 13. Next Post UK MUSLIM taxi driver loses license after refusing to pick up a blind passenger because he didn’t want the man’s service dog in his car.